ISAE/FGV in Brazil prepares annual sustainability reports outlining their sustainability practices. They use the G4 guidelines set by the Global Reporting Initiative – an international methodology that companies around the world use to prepare their reports. 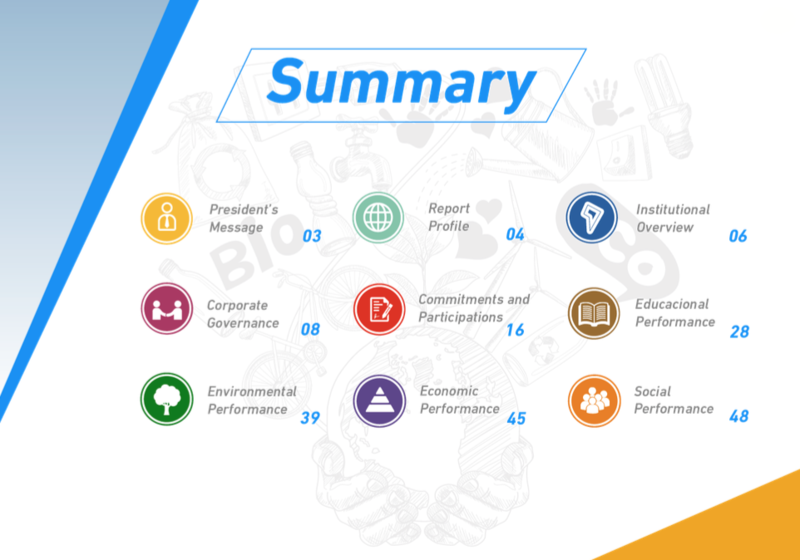 Weaved in throughout the report are also links to the 17 Sustainable Development Goals as well as their work with the United Nations Global Compact and the United Nations Principles for Responsible Management Education. This includes extensive metrics relating to social and environmental issues on campus as well as an analysis of materiality and stakeholder identification for the University.